IKEA is a very visual company. Their products are both designed to be visual and usable. Not one over the other, both equally important. The company is very good at knowing what we need, inserting just enough special look and feel, that we are more likely to buy. 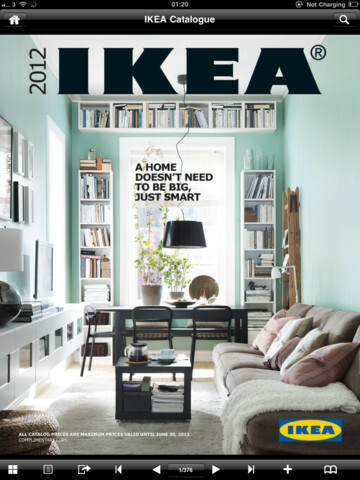 For fans, or just the curious, there is a free IKEA catalog app for your iPad. When introducing the IKEA iPad catalog, once again IKEA went just a touch further than just sending out a press release. Instead, a video that went viral and a special product called BERÖRA. While the iPad catalog is available for all, there was only 12,000 BERÖRA made available. Being free, and a lot of fun, the supply was gone in just two weeks. 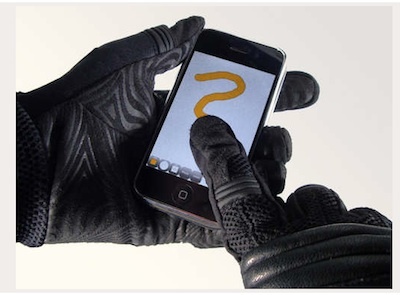 As the vide shows, the BERÖRA is a pair of gloves that are made to let you work with your iPad with them on. Normally, the iPad won’t recognize the materials in a standard pair of gloves. There are a few options of specially built gloves but those may not be your favorite pair. With very little effort, you can actually make your own pair of “BERÖRA” gloves. All it takes is a bit of conductive threat and some of your craft time. Conductive thread can be found through specially companies like Adafruit or check your local craft stores. Beware thread available on eBay, we found a few options for sale that ended up being shiny craft thread that isn’t actually conductive. We found a couple nice walk-through pages for assembling the gloves. The more successful solutions made by our coworkers where those that created a small square pad of thread rather than a ‘x’.